Our interns visited Cape Town to present their arguments for some rather controversial topics! A part of our internship here at MDA is working on designated projects. One of these projects is “Debate Club“ where controversial environmental topics are debated. What we try and do is argue from the other perspective, where we provide evidence for the controversial topics. This trains open mindedness as well as critical thinking – first rule of Debate Club – question everything! Early morning on Thursday 17th January us five interns Caitie, Marena, Camille, Alina and myself headed off to Cape Town with Hennie and Toby. 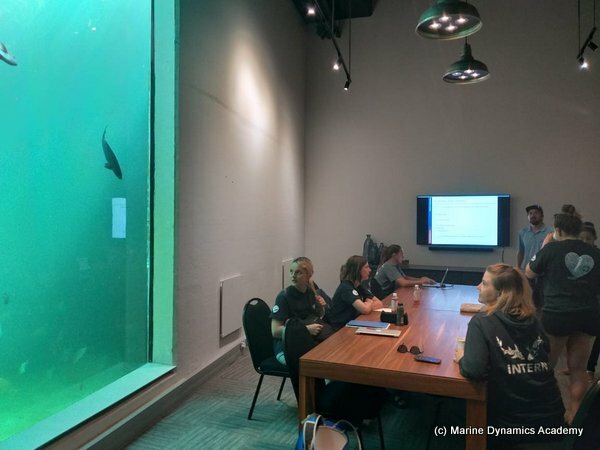 The reason for our travel to Cape Town that morning was to present our projects at the Two Oceans Aquarium were Camille who is deaf met up with an interpreter. That way Camille got to present her project to us herself and take full part in our discussions afterwards. This time around three topics were discussed. Marena and I argued in support of Japan beginning commercial whaling in territorial waters, that the hunt was indeed legal and sustainable. 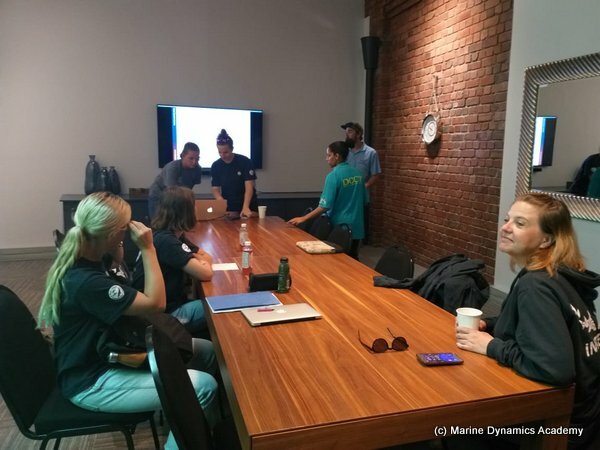 Caitie argued in support of controlled culling of marine predators. 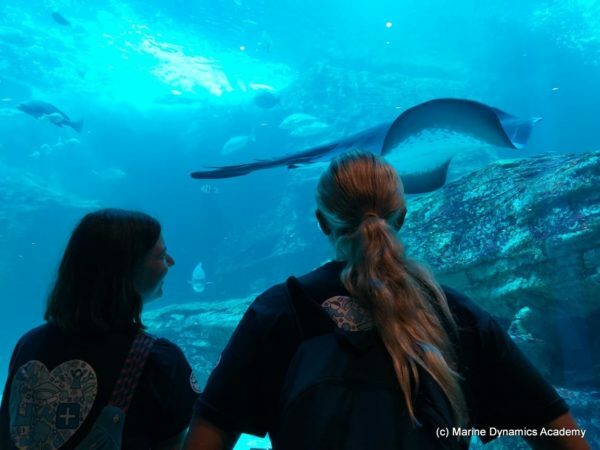 And Alina and Camille argued the ethicality of large marine aquariums. Marena and I introduced the history of whaling and the economical importance of it when it was at its height. The main driver for the hunt was the whale oil that lit cities in America and Europe until it was replaced by fossil fuels. We answered the criticism that Japans scientific hunting in Antarctic waters were nothing but commercial hunts in disguise and showed that in fact a number of scientific papers have been published on their expeditions and that these hunts are legal and sustainable. Catie took some examples about culling from her home in Western Australia where after a number of shark attacks culling of sharks would be good for protecting people. She also took an example of culling of seals in order to protect the fishing industry. 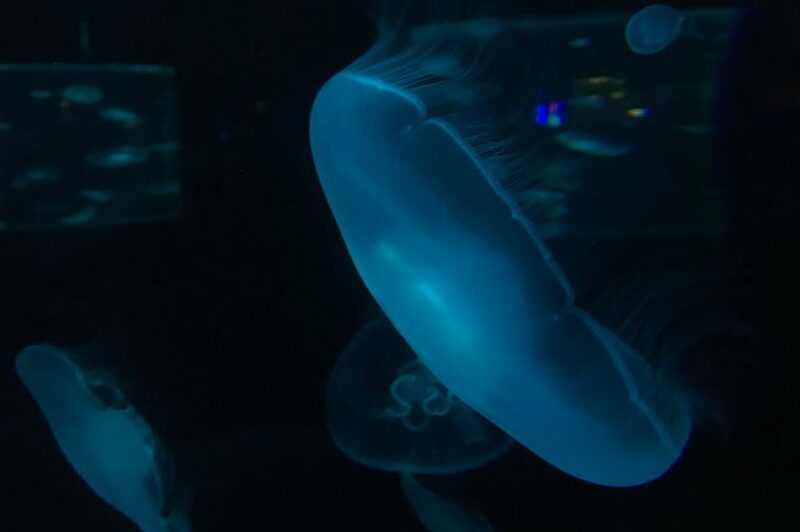 Camille and Alina took us through the methods of catching large living mammals in order to ship them to aquariums and argued that we should not be playing playing God with the lives of others. After every presentation there was of course Q&A and a lively talk about the issues – we often had to remind ourselves that we were doing an exercise and we did not necessarily agree with what we were talking about. It was though an eye-opener and is incredibly important to be able to see all sides to controversial and/or conflicting issues in order to come to a fair conclusion and of course to avoid bias. 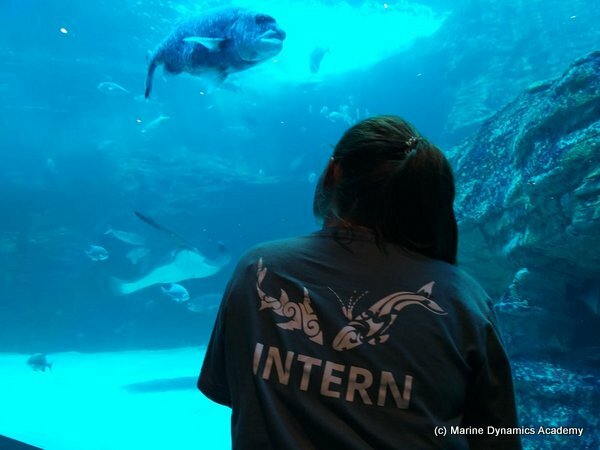 After our debates we got a chance to walk through the aquarium were I belive our inner child shone bright – we were like little kids in awe. Next it was time for lunch and we walked over to the wonderful V&A Food Market and listened to some local music on Nobel Square. And with that we headed back to Gansbaai!